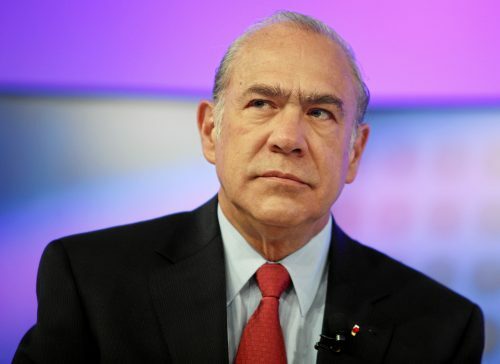 Since 2010, Ángel Gurría has also served as a Commissioner for the Broadband Commission for Digital Development, which is dedicated to the use of broadband technologies as a means of social and economic development. Before becoming head of the OECD, he was Mexico’s Secretary of Foreign Affairs and Secretary of Finance. He was instrumental in the negotiation of NAFTA and in guiding Mexico through its 1994 financial crisis. He also headed Mexico’s National Development Bank and chaired the Inter-American Development Bank’s External Advisory Group. He is the recipient of many awards and honors, including recognition by the French, Dutch, and Korean governments. He was the inaugural recipient of the Canadian International Council’s Globalist of the Year Award, for his efforts in promoting global cooperation and consciousness. What sort of policy and institutional frameworks should guide AI design and use? And: How can we ensure that AI benefits society as a whole? For his leadership on AI, the Boston Global Forum and the Michael Dukakis Institute honored to recognize Secretary General Ángel Gurría as the inaugural recipient of the World Leader in AI World Society on April 25, 2018 at Harvard Faculty Club.